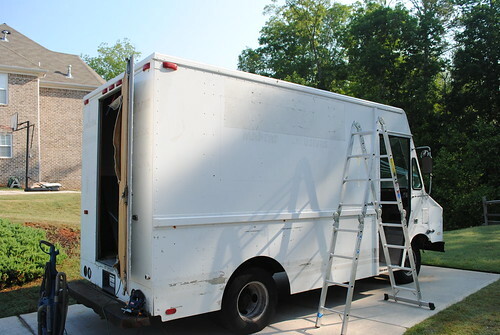 I just purchased a 1993 Chevrolet P30. It is smaller than I wanted but a good local buy for the price and it runs great. The cargo area is only 10'10"L x 7' W x 7' H but I think I can make it work. I am in the process of cleaning and preparing for the kitchen build and I thought I would share pictures of my progress. I would like to post photos but I am a new member so as soon as I make 30 post, I will post pictures. 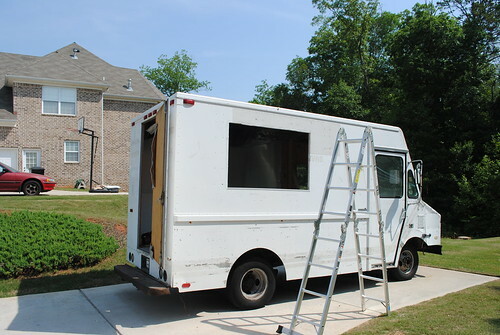 What cuisine are you planing to sell from your truck? Gourmet and comfort sandwiches, sides and drinks. I am working on my 30 post requirement so that I can post pictures. Sounds good, looking forward to the pics. I am in the same boat as you are in regards to posting restrictions. I am almost up to 30 post and I will post pictures as soon as I reach the minimum required. I am in the process of buying parts for the truck. 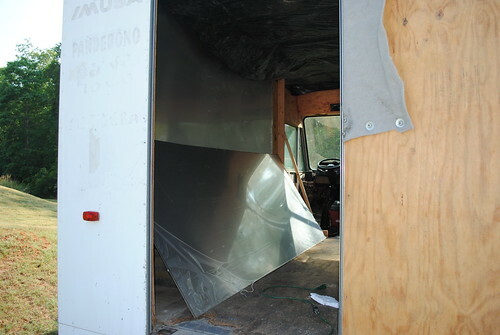 I located a good metal dealer locally that I am buying the aluminum panels for my cook area back splash. 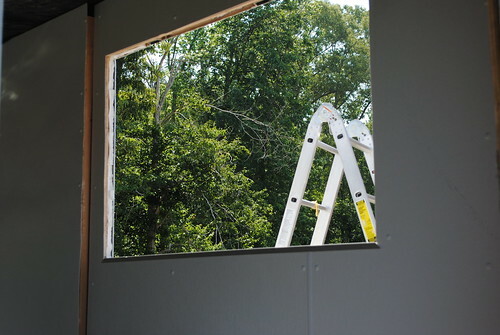 All the other walls and ceiling will be FRP. I would love to use the glossy FRP but I can only find this material online and the freight cost is ridiculous. All my plumbing equipment has finally arrived. It took forever to find cheap holding tanks but I finally found reasonably priced tanks on Ebay. 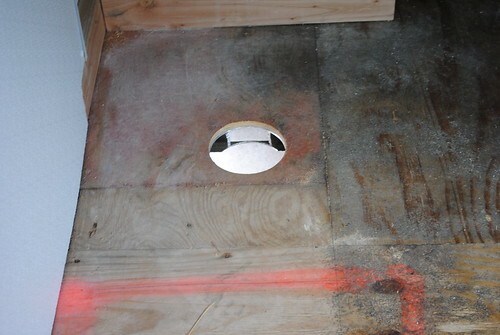 I am having a sink counter top manufactured to fit the 10" x 12" sink pans and faucet that I purchased from Ebay. I wanted diamond plate flooring but I soon discovered the price difference in diamond plate aluminum versus stainless steel and how hard and costly it is to have aluminum welded. So I settled on white and black checkerboard vinyl flooring. The "bumpy" FRP cleans pretty well so I wouldn't sweat it too much. I've seen both in restaurants and I really can't see much differences in one being easier to clean than the other. I know, your correct. I purchased the bumpy version as they stock it at Home Depot for $32 a board but I just wanted a cleaner smooth look since I cannot afford to use aluminum or stainless throughout the entire interior. I made 30 post but it seems that I ALSO need to be a member for 30 days to post images and links. A bit strict for this type of forum. So anyway, my photo stream for this at Flickr is ..blah blah blah... photos/29163441@N06. I will post more photos as I go, I still have many photos that I have not uploaded. Thanks. 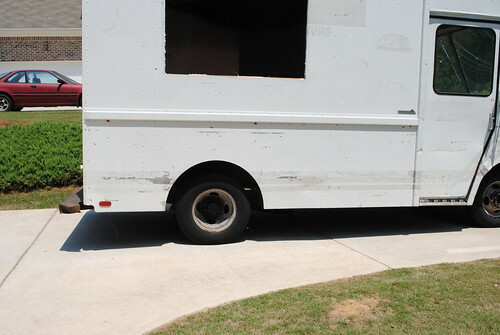 I do now, when I started the inside of the truck was a mess of plywood, carpet, etc.. I had to rip out a secondary A/C unit and a heater that was tied into the radiator and bolted to to floor. It was a mess of coolant and dust all over the place. I wish I would have took pictures than. I purchased the water tank from Ebay for about $80. My 4 .063 Aluminum Sheets for the walls just arrived today. I had no idea how thick .063 was. These are 4'x10' sheets and are heavy. I did not plan on covering my walls and ceiling with all Aluminum but at $128 for a 4x10' sheet, this is now my plan. I will be checking with the supplier to see if there is a thinner sheet. It's going to be a pain trying to cut these. 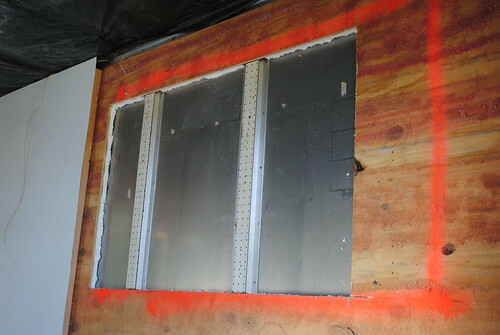 I already have 1 FRP panel on the wall in my proposed sink area but I will taking that off and replacing with Aluminum. What do you guys think, should I take the plywood off the walls and screw the aluminum sheets to the truck frame or leave as is? The former owner put the plywood on the walls. I'm going to keep it on the floor so that the vinyl adheres properly. keep the plywood. 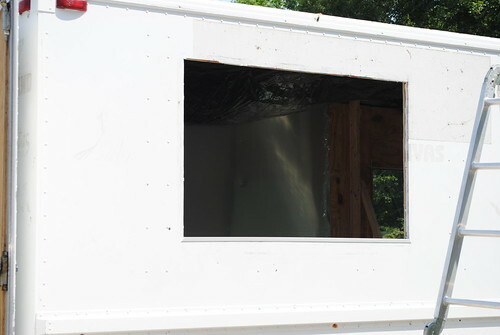 U can even take it down and put foam insulation between the metal walls and re-apply the wood and attach the alum over the wood. Makes for great insulation, might already be there, but def leave the wood up. 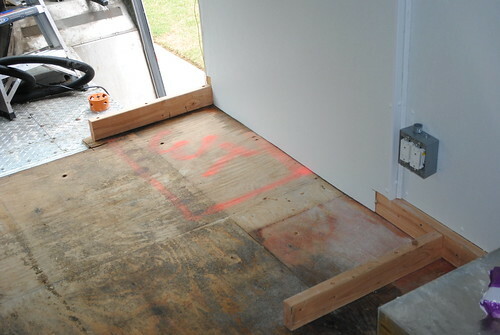 Yes, there is insulation behind the plywood and I decided to leave it it for additional strength when attaching things. I am going to try to install the sheet tomorrow. Even though I work from home, I am so swamped that I only have time on the weekend to work on the truck. My aluminum channels and stock arrived today from orangealuminum.com today so I will start construction on my window frame and awning and I will post pictures on my flick page (until I have full access on this forum) as I go. Fabricated aluminum sink counter arrived today ready for the sinks pans I ordered from Ebay and they fit perfectly. Where did you purchase the louvered cover from? Home Depot did not carry the proper blade so I ordered a pair of powered sheet metal shears (Malco TSHD Turboshear Heavy-Duty) that attach to a power drill, it should arrive today. I purchased the access door from Amazon.com (amazon.com/gp/product/B000B8XZM6/ref=oss_product). if you have to cut with a saw, water with a little dish soap in it is a lot cleaner then kero.... you could also have someone spraying the underside where blade is cutting into metal with wd40 or something like that, just have a fan blowing to carry the smoke away....and wear a mask !! OK, I have been in and out of town since January on a project now I am back working from home for awhile so I have time to get back to my truck build. Below are a few new pictures. 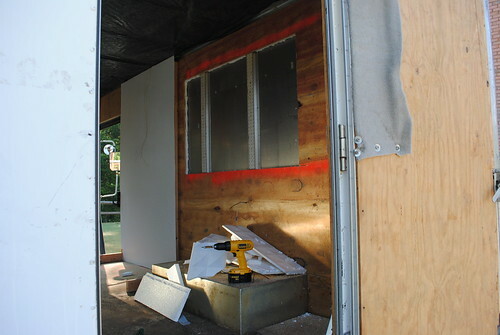 I started cutting out the hole for my concession window and I will complete this today as well as start building the window frame and awning. I was going to cover all the walls with the stainless steel but I decided to just cover the wall that will be behind the cooking equipments and use FRP on the other walls and ceiling as I initially started since it is much easier to work with and makes the inside much brighter. Finally cut out the serving window. A little grinding to smooth out the edges, than I will install the aluminum trim once I cover the inside walls with FRP later this evening. Thats a good work your doing and thank you for the pictures. I'm needing to cut a hole for my window but a little reluctant. What did you use to cut with? I'm sure that I can cut it myself but not sure what to use. I used a jig saw with a metal cutting blade and a lot of patience. 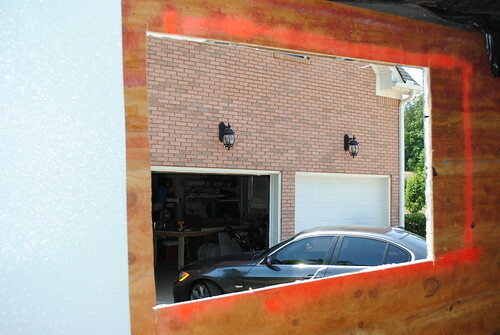 I used a circular saw with a metal cutting blade for the beams. A reciprocating saw could have worked great but I didn't have one. 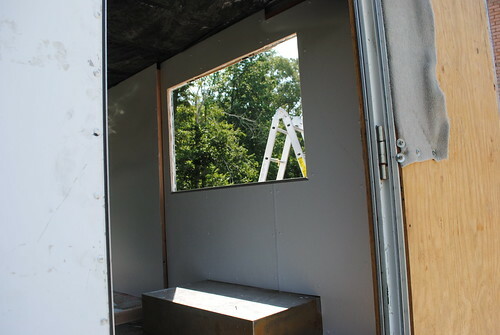 Started putting up the FRP around the window and the bottom aluminum window frame trim. Pics below. Started adding the plumbing to my truck. I did not want to lay the linoleum floor this early but I need it to be in place before I do the plumbing. 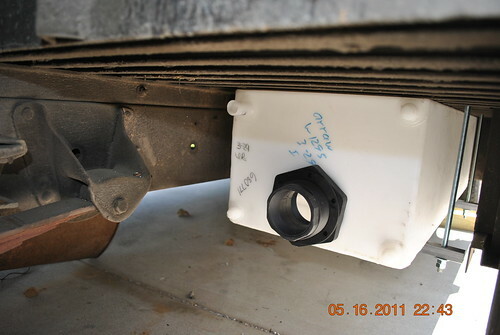 I mounted my grey water tank underneath the truck and drilled open a drain through the floor. I need to install all the piping, sink, etc, but below are a few pictures on my progress. But your tank system is nice. Will you be able to empty/fill from outside the truck? That sink is cool. I was going to buy a solid sink unit on Ebay but they were all too big so I purchased the steam pan style sinks on Amazon and I had a company fabricate a basin to hold the sinks. You can see the unit on my flickr stream toward the beginning of the photos. In regards to the tank, it was hard trying to find a cheap tank that was 1.5 times my 35gal fresh water tank but I got lucky on Eaby. 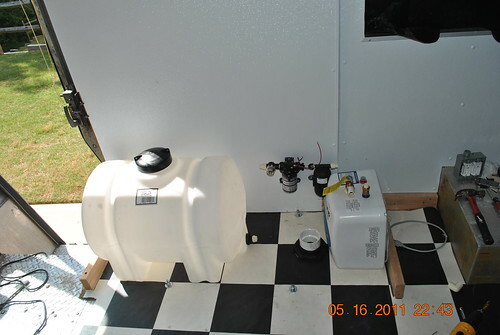 Yes, I am going to us an outside refill unit that also has a tank vent and city water inlet. The unit has a lockable door. It can be seen on my photo stream as well.